This Happy Hearts ring in 18-carat rose gold is a precious addition to the Happy Diamonds collection. Two contrasting hearts are delicately juxtaposed on the finger in a marriage of sparkling harmony. 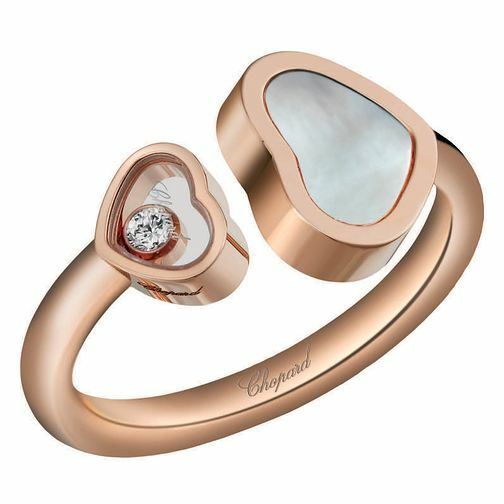 The larger is inlaid with mother-of-pearl, the smaller encases a single Chopard moving diamond that dances playfully to the tune of contemporary womanhood—bold, radiant, free-spirited, living life to the full.